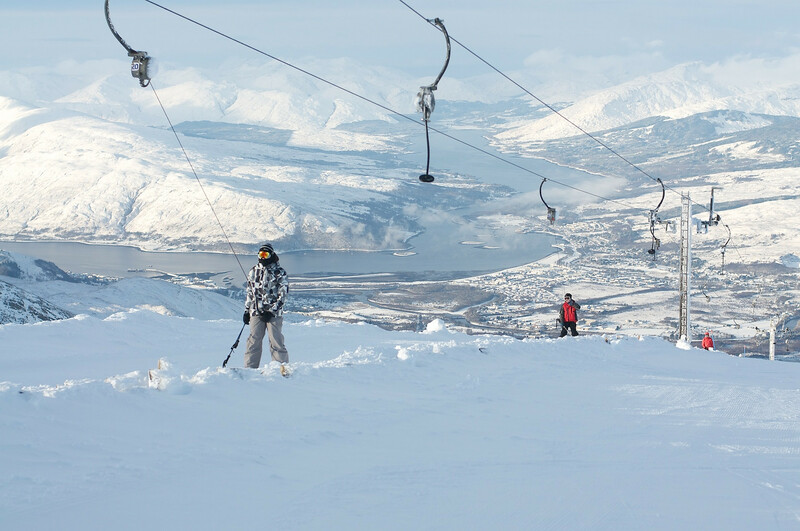 What's the skiing like today in Nevis Range? See our Nevis Range snow report to find out current snow conditions: snow depths, open lifts/slopes, today's weather, and both on and off-piste conditions. The Nevis Range snow report also tells you how much snow is forecast over the next few days. Don't forget to sign up for the Nevis Range Snow Report, Snow Forecast and Powder Alert! Great spring snow with ice underneath. And blue sky!!! Nice soft snow on the goose and quad running into icy patches towards the bottom. Cloud blowing in and out. Summit runs white out, Goose and Warren's runs are shut. Snow is either ice or heavy chop. Visibility very, very poor - flat light. All pistes need a good snowfall. Fresh snow.. Bit windy.. Mostly packed ice. Get snow reports and powder alarms from Nevis Range straight to your inbox! Our favourite dramatic descents, awesome views and cross-border adventures on skis.